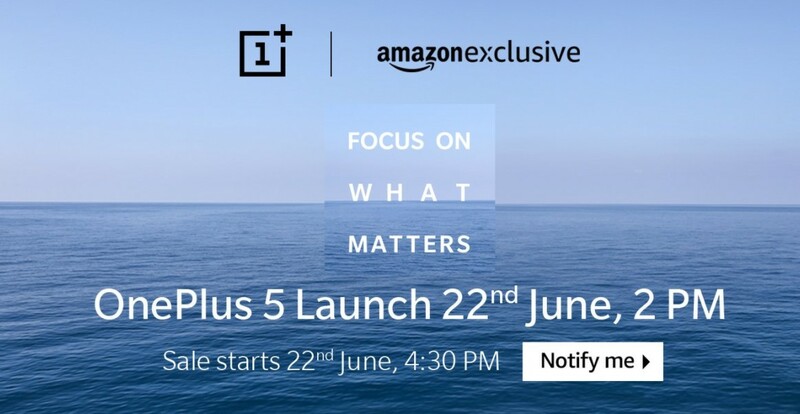 OnePlus 5 is officially set to launch on June 20. However, Evan Blass took the time to look at the source code of Amazon.in’s teaser landing page about the OnePlus 5 sale which contains more details about the OnePlus 5 and its availability in India. According to the source code (As shown in the image above), the OnePlus 5 is confirmed to have 8 Gigs of RAM with Snapdragon 835 onboard. So, now that we know that it is going to be exclusively available on June 22 at Amazon.in. What are your thoughts about getting your hands on the OnePlus 5?